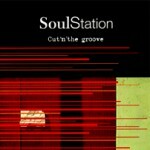 Soul Station was formed in 1991 by conga player Pete Eckford & pianist Conal Fowkes. The concept behind the band was to mine that rich vein of music that came out of the ’60’s on Blue Note & other labels. Arrangements were got together of tunes by Donald Byrd, Horace Silver, Cannonball Adderley, Lou Donaldson & Joe Zawinul amongst others. The very first rehearsal was recorded digitally & I took the tape (of 4 tracks) to Acid Jazz Records who said they wanted to release one of the tracks on a compilation. So, in 1992 a version of a Horace Parlan tune “Conglagre” (that originally featured Ray Barretto) was released on the Acid Jazz compilation “Mo’ Jazz”. The band was doing regular gigs at the 100 Club in central London & a few other venues in & around London (& occasionally in Leeds). In 1994 Pete Eckford became very busy with pop band Freak Power & left. Conal Fowkes wasn’t interested in being a bandleader so Soul Station fell apart. In 1995 I was offered a gig at the 100 Club & decided to book the guys who had originally been in Soul Station. Conal had moved to New York by that time so we used a different pianist. The gig was a great success & most important of all, we all really enjoyed playing with each other again. That had been a feature of the band from day one so it was nice that we hadn’t lost that feeling. The band reformed but this time was being led by myself & Pete Eckford. Pete managed to get a recording deal with Yardbird Suite Records (a label based in Leeds run by the guys who ran the club of the same name there). Armed with a deal, Pete & I wrote some tunes, Mark Lockheart wrote a couple & I had a few lying around from before. The album was recorded in 1996 in 2 days with another evening spent on percussion overdubs & 2 days mixing. On release in 1997 Yardbird Suite weren’t able to get the album into many shops & although Jazz FM played some tracks it never really got much exposure & was deleted a year later. Pete Eckford then decided that the band should move forward in time to play music that was from the early ’70’s & together we wrote some tunes for the new incarnation. As a result the band no longer had the same feeling about the music it was playing (before, the tunes practically played themselves) & I stopped enjoying it as much & left. Soon after, the band split up again. Yardbird Suite recently agreed to allow us to release the album on the internet via peoplesound.com & that’s where you should go if you’re interested in hearing tracks or buying it.